Image released Jan 1, taken from 500,000 km, showing an bowling pin shape. 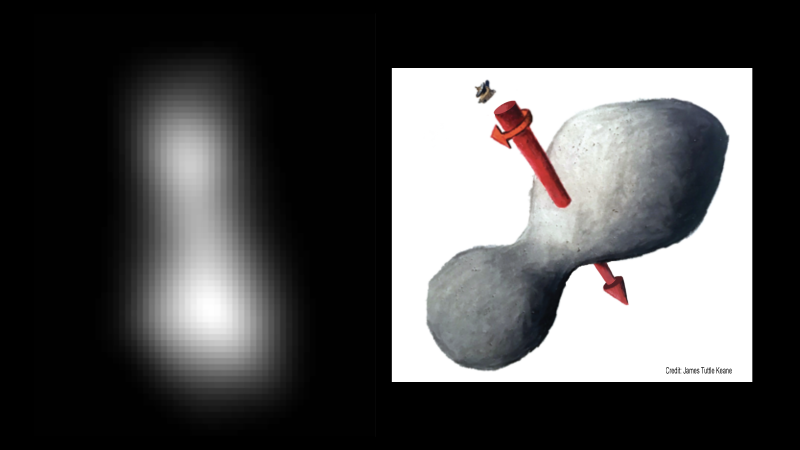 Newer images show a contact binary. 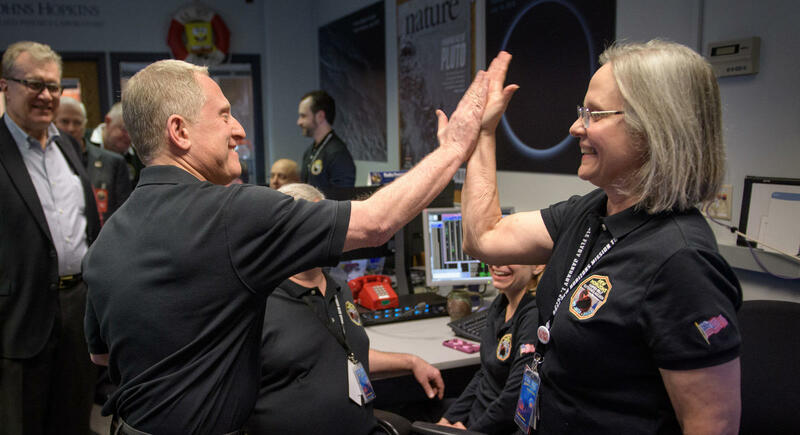 New Horizons principal investigator Alan Stern of the Southwest Research Institute, on left, gives a high five to New Horizons Mission Operations Manager Alice Bowman of the Johns Hopkins University Applied Physics Laboratory after the team received signals from the spacecraft that it is healthy during the flyby of Ultima Thule on Tuesday. As San Antonio rings in the New Year, NASA expects to celebrate a historic first flyby on the edge of our solar system. The first words uttered from the surface of the moon were “Houston, tranquility base here. The Eagle has landed.” More than 50 years ago, part of Lyndon Baines Johnson’s legacy was making the biggest city in his home state a center of space exploration. 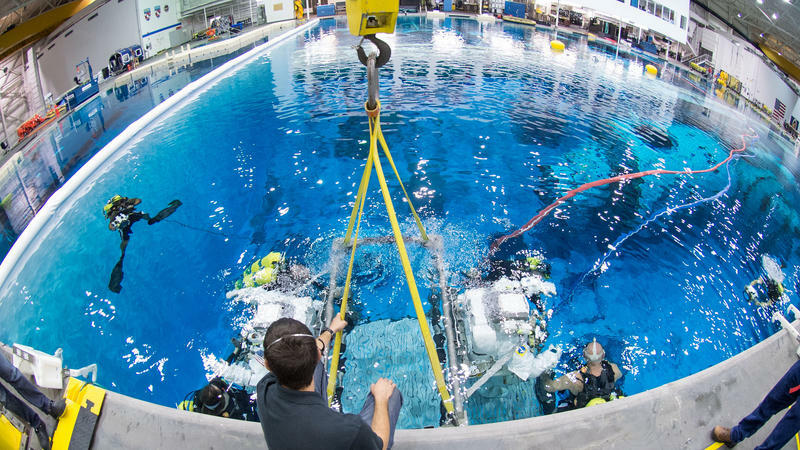 Fast forward to today, you’d think that excitement about projects aimed at Mars and beyond would be reason for ‘Space City’ to celebrate a coming renaissance – but there may be problems on the relaunching pad.